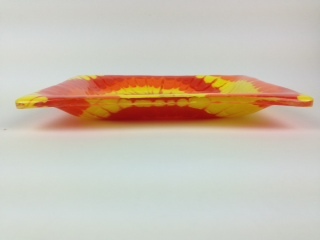 Our glass rolling trays measure 7.5" x 5.75" x 1" & weigh 18.75 oz. 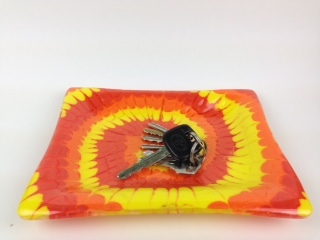 Our Glass Rolling Trays are available in a variety of designs and color combinations. 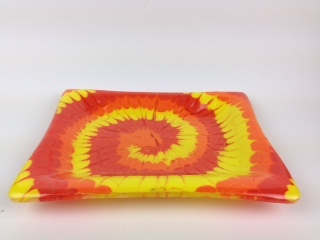 100% non toxic and food safe, microwave and dishwasher safe. Not safe for use in ovens. Handwashing is recommended.